The Art of Samax Amen: Spring forward, fall back. We did the "Spring forward" part of Daylight Savings time this weekend, but it looks like someone wanted to fall back on the harvest colors in this Serene refrigerator magnet. 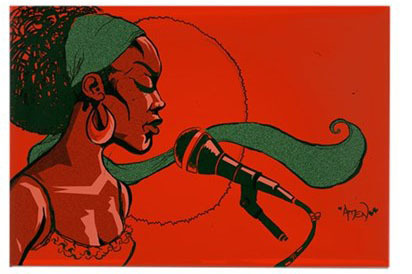 This drawing comes from a portrait I did for the poet and activist Serena Wills back when she was living in Dallas. It's been my honor to have my art featured in a couple of her books of poetry. 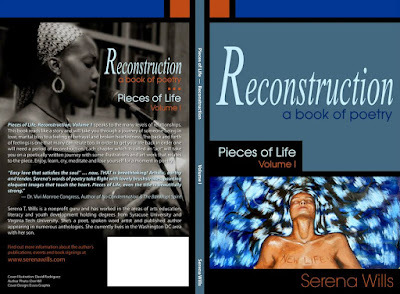 From Serena T. Wills, the author of Reconstruction, Pieces of Life Volume 1 comes a compelling poetry collection that travels the paths of those battling gynecological cancer, their caregivers, their grieving families and those who survived! Crying Tears of Teal chronicles the travails of diagnosis, prognosis, the battle, the love, the healing, grief and the victory of those who survive. It is dedicated to the warriors, their families and loved ones. You will smile, cry, meditate, and pray as you read this poetic novel. Written from the bedside perspective of a caregiver, as Serena lovingly tended to her mother who battled ovarian cancer. 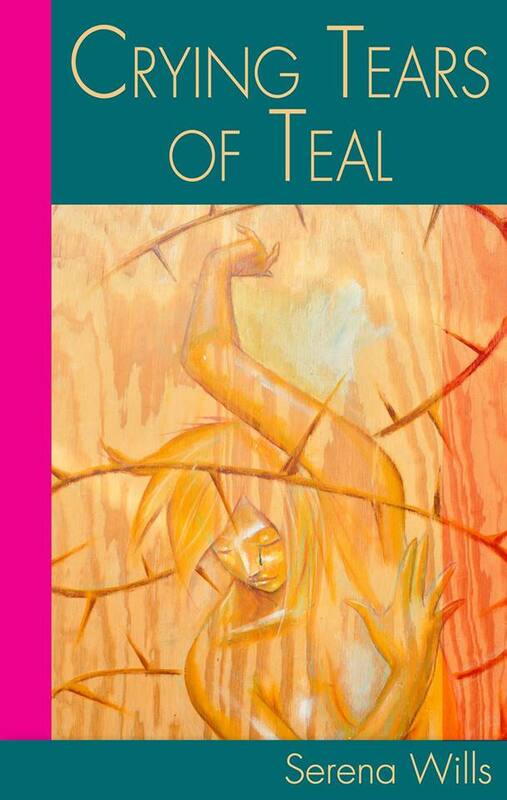 This book will help raise awareness of ovarian cancer and other gynecological cancers. This poetry book speaks to many levels of relationships. It reads like a story and will take you through a journey of someone being in love, marital bliss to a feeling of betrayal and broken heartedness. The back and forth feelings is one that many could relate too. In order to get your life back in order one must have a time of reconstruction. Center yourself, focus on the divine higher power and love yourself. You will be taken on a poetically written journey as you enjoy, learn, cry meditate and lose yourself in the moment in poetry. I have both books in stock, so if you order one or both of them, I can sign them for you. If you just want to see more stuff with my image Serene on 'em, CLICK HERE. If you have any questions, I am happy to answer them. While you're here, CLICK HERE to sign up for my free, customizable newsletter. Wanna make a comic strip with me?